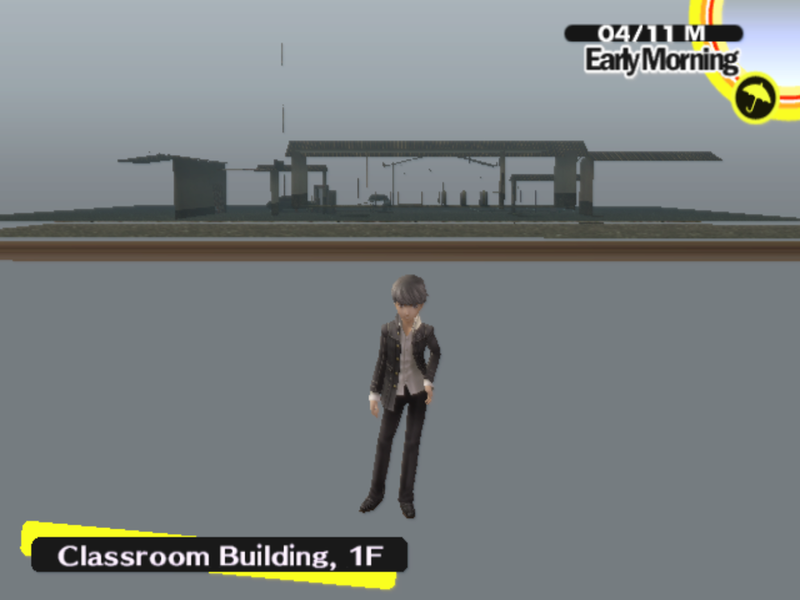 Like my Katamari Dreams project, this project also uses live memory disassembling software to modify a PS2 game, in this case Atlus's 2008 title Persona 4. Once again, my primary tools were the the PCSX2 emulator and disassembler plugin. I even generally used the same technique as in the Karamari project, switching the map being loaded midway through the loading process. Despite all these similarities The Midday Channel has a distinct look and feel, which gives me hope for the future of this glitching technique as an artistic method. 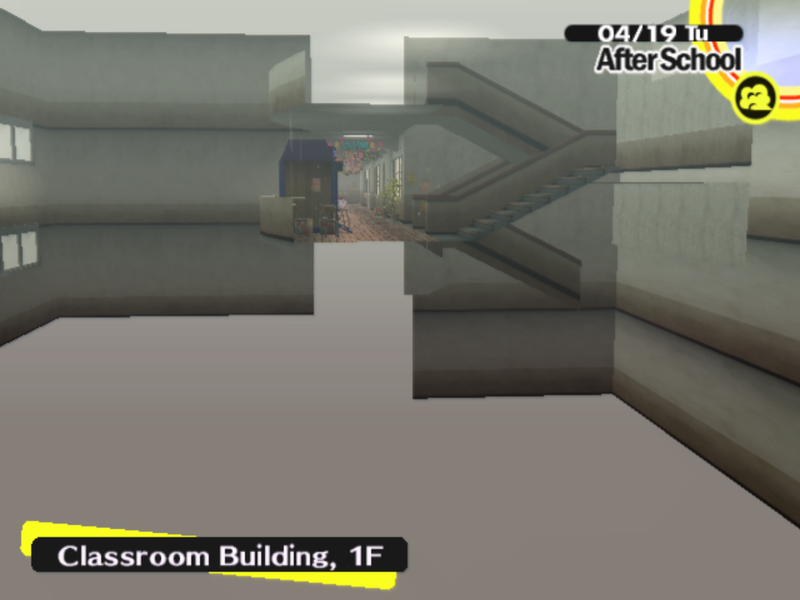 The busy world and varied geometry of Katamari Damacy translated into a project with busy glitched worlds and variable geometry, while the mostly flat worlds of Persona 4 with limited direct interactions tended towards a set of images and gifs with flat, porous structures in big, flat, open monochrome spaces. I don't know if the correlation I've presented here will continue to hold in future projects, but it at least gives me the encouragement to try. I feel as if there is some element to the aesthetic of these games that can only be assessed by not only looking at the way that the assets are presented in the game as designed, but in the game when undesigned and broken apart. Not only do I now have more insight into the way Persona 4 or Katamari Damacy work as software, but through these projects I also think I am revealing a bit of how they work as visual culture. The gallery of the best of my Persona 4 breaking is below, clicking any image or gif should open a larger version.